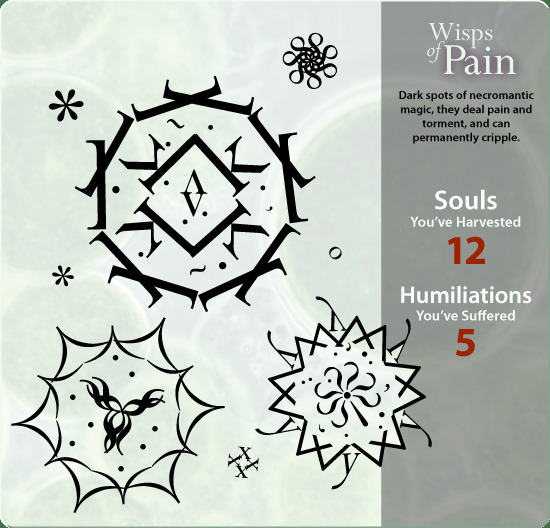 A new monster card for Kerkerkruip, the Wisps of Pain. These have varying degrees of influence from cells, viruses, microscopic images of pollen, Jack Kirby’s energy fields. The font is Perpetua, a 20th century face by Eric Gill. The background is a microscopic image of algae, courtesy of Flickr user Learn 2 Teach, Teach 2 Learn (CC BY-NC 2.0). I needed to create a deviantArt account recently, so I decided to put these Kerkerkruip images up there as well.